Excellent location. Large apartment. Large balcony with great view of beach. Satellite TV and wi-fi included. No daily maid but got change of towels and trash after 3 days. Kitchen was fully stocked with utensils, pans, kettle, toaster etc. Located on strip with many restaurants, shops, bars etc. within feet of building. Check in was a nightmare. We had to go back and forth to three different places. The keys didn’t work for the downstairs so we had to walk around the entire building to bring all our stuff up. We couldn’t find a the trash bins either so we had to leave trash in the room at check out. Very disorganized but a wonderful stay. 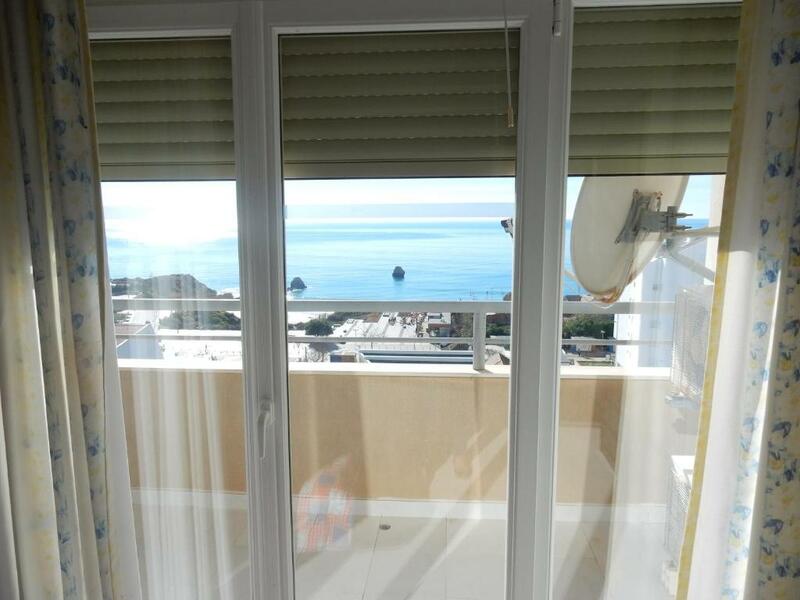 Localização em frente à praia (embora o apartamento que nos foi atribuído estivesse virado para uma lateral e não para a praia). Pues donde esta ubicado y que tiene de todo esta muy completo. El personal tambien era muy amabla y sabia habla en castellano. Proximidade da praia ( uns 100 metros a praia 3 castelos), mini mercado na rua, piscina enorme e sempre com água tépida - jardins da rocha, telepizza por baixo do edifício, proximidade do autocarro que nos leva para as atracções. Vista deslumbrante para o centro de Portimão. A praia ficaria do lado oposto. Apartamento muito completo. Adoramos a disponibilidade da D. Danai, e sua irmã Mercedes. Voltaremos em breve. La atención del personal excelente y cercana. Nos acompañaron hasta la puerta al llegar. Apartamento amplio. 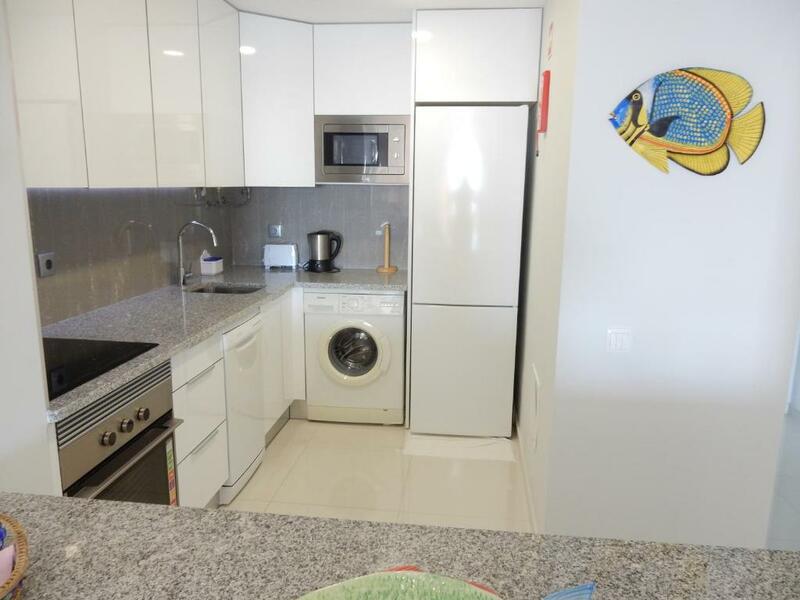 El apartamento es excelente, nuevo todo, y el servicio genial. O apartamento é muito bom com uma vista extraordinária. Located in Praia da Rocha, Portimão, Apartamentos Turisticos Perola da Rocha 1 offers access to an outdoor pool and is 250 feet from the beach. 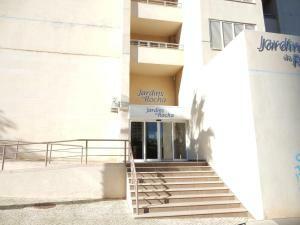 The property is 0.6 mi from Portimão Marina. Each apartment will provide guests with a TV, a balcony and a seating area. 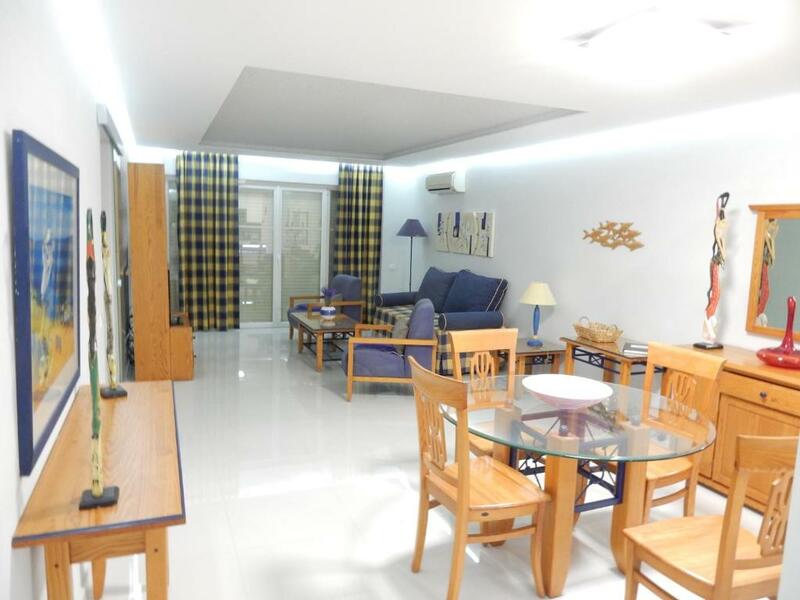 The apartments have a double or twin bedroom and 2 double sofa beds in the living room. The studio features 2 double sofa beds. A private bathroom is available at each accommodations and includes a bath and a bidet. Guests staying at Apartamentos Turisticos Perola da Rocha 1 will be able to prepare their own meals using the fully equipped kitchenette available. In addition guests can visit the restaurants within 350 feet and taste some of their fish and seafood specialties. At Perola da Rocha 1 guests will find a garden, a terrace and a bar. Other facilities like a vending machine are offered. The property offers private parking. Vau Beach is 1.2 mi away and a supermarket is within the complex. Faro International Airport is 44 mi away. 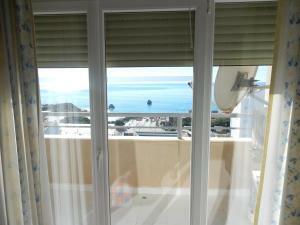 뀐 Located in the top-rated area in Portimão, this property has an excellent location score of 8.9! When would you like to stay at Apartamentos Turisticos Perola da Rocha? This studio features 1 sofa bed and a double bed, a private bathroom and a kitchenette. This apartment features a twin bedroom, a living room with 2 double sofa beds, a private bathroom and a kitchenette. 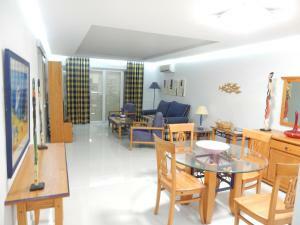 This apartment features a double bedroom, a living room with 2 double sofa beds, a private bathroom and a kitchenette. 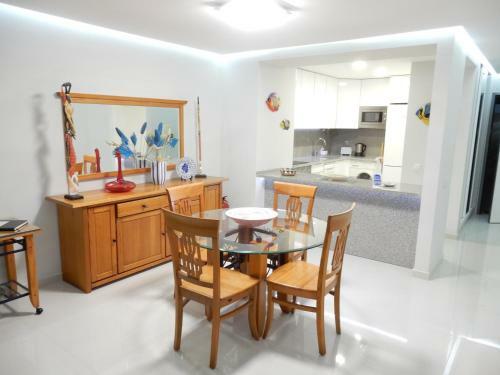 This apartment features a double bedroom, a living room with 1 single bed, 1 double sofa bed and 1 single sofa bed, a private bathroom and a kitchenette. 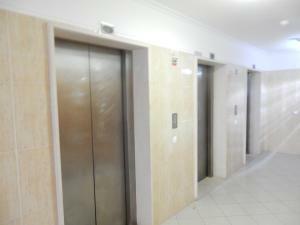 Guests of this apartment have access to 1 free parking space. Internet, gym, and sauna access are available at a surcharge. This apartment is located on the Concorde Building's 17th floor. It features an Ocean view. 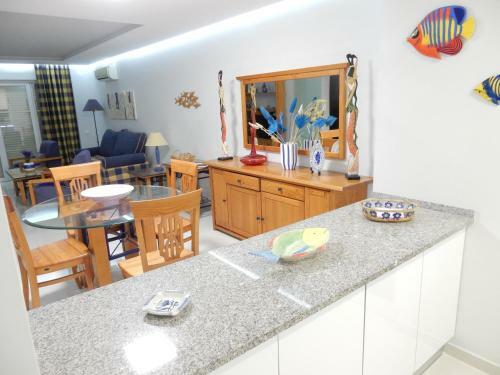 Set in the beachfront Concorde Building,this apartment has a oven, dining area and washing machine. House Rules Apartamentos Turisticos Perola da Rocha takes special requests – add in the next step! Apartamentos Turisticos Perola da Rocha accepts these cards and reserves the right to temporarily hold an amount prior to arrival. Please note that check-in is done at Squash Clube Apartamento, Rua Engenheiro Francisco Bivar, Praia da Rocha, 8500 - 808 Portimão. 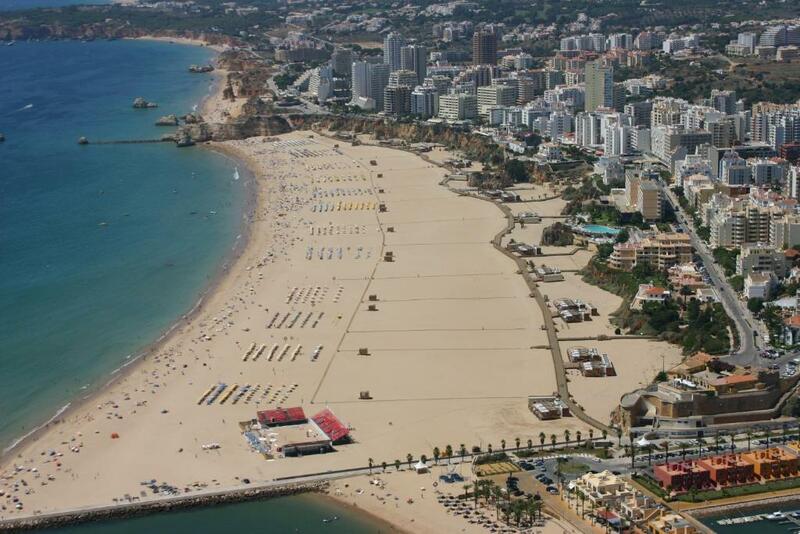 Please inform Apartamentos Turisticos Perola da Rocha of your expected arrival time in advance. You can use the Special Requests box when booking, or contact the property directly using the contact details in your confirmation. They lie. Description said pool but there was no pool, but ok - beach is feet away. No reception. The booking receipt says someone would meet us at building, but day of flight got email telling us to pick up keys at hotel on other side of town. So I'm stuck at 11:30 pm with my luggage in front of a locked building in a strange country calling them on an American phone with international roaming charges to help me find their other hotel, which was many blocks away and not easy to find. Checking out they were just as rude when I told them I was just leaving the keys in the apartment as my airport ride was coming at 7am. Since their reception is many blocks from the apartment they should make the effort to send someone to meet and check out their guests. when we arrived there were nobady to help us which was our appartment,after 1 hour when we call the number one guy pick up in different building opposite the road.it was good house but totally different that we booked via booking.com.they did not explain why change this house. the appartment amarela where we lived was nice. The view is amazing!!! The room is immaculate and very well stocked. I would absolutely stay here again. Terrible check in procedure. Website correctly indicated the location but failed to mention that the apartment was privately owned and the person on reception was nothing to do with our specific apartment. Then had to phone the contact on the website and after much confusion had to drive to another location (very late at night) to meet someone else to gain access to the apartment. If I hadn’t had a phone network that allowed me calls in Portugal we would have been in serious trouble. Nothing hinted at this process from Booking.com when I booked so not good. Apart from that there was no a/c which again wasn’t made obvious in the description. Apartment was on 19th floor which had great sea view but would not have been suitable for someone who didn’t like heights! Again should have been highlighted in the description. Please please do not book this property. Our holiday was absolutely ruined. I don't even know where to start. We booked 2 separate apts, when we arrived the lady took our money and told us that we weren't staying here that we had to stay in a different property across the you'd which was not fit to be honest it was like a demolition site. She then proceeded to scream and have a huge argument with the cleaning staff. It was so noisy I actually recorded it..I got 2 hour sleep in the whole 4 days...there was no pool or reception. .no towel change...it was so upsetting.